In their first month using Vainu, ViaBill was able to double the number of new signups from e-commerce businesses. ViaBill is a financial services company making online payments easier and more flexible both for the business and the consumer. 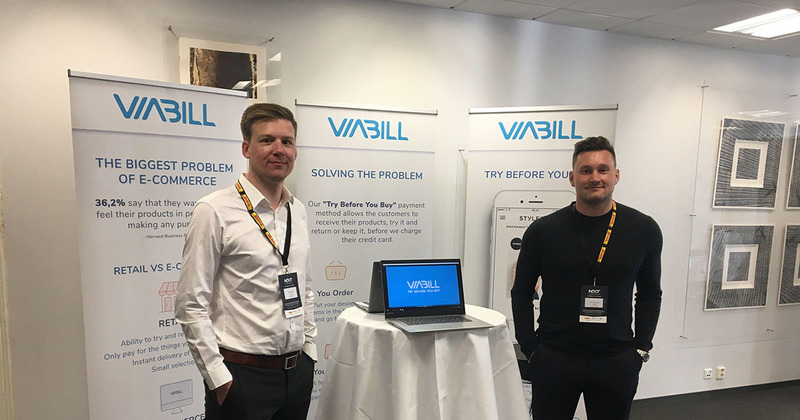 ViaBill is a Danish payments company that offers seamless and flexible financing for consumers online. There are already more than 4,000 online merchants offering ViaBill’s payment method at checkout. ViaBill’s European sales team has been tasked to grow that number of online merchants across Europe. In addition to Kasper Klit, Head of Sales, the team consists of Key Account Managers, focused on nurturing relationships with larger merchants, and external Sales Representatives, conducting outreach towards smaller web shops. Before Kasper joined ViaBill in November 2018, the company had been purchasing lists of e-commerce companies from different sources. These were a cause for some frustration, as the lists were of varying quality and hard to evaluate compared to a dynamic database. After assessing the situation, Kasper contacted Vainu about a potential solution. “I’d seen a presentation of Vainu at my previous company and liked it, so when I started in the new role and noticed we didn’t have a solution in place, I saw a potential fit. Another benefit was the possibility to integrate Vainu data into ViaBill’s CRM of choice, Pipedrive. “It’s great adding companies into your CRM through Vainu with just a click of a button, it’s so much better than manual data entry. Sometimes, even if we find the company elsewhere online, we’ll add the company through Vainu”, says Kasper.